Free shipping. Buy direct from HP. 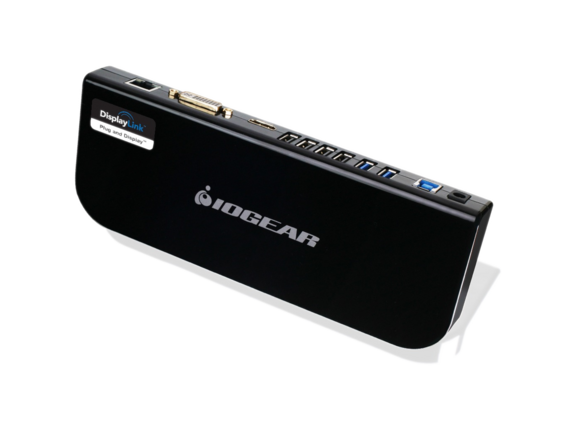 See customer reviews and comparisons for the IOGEAR USB 3.0 Universal Docking Station. Upgrades and savings on select products. IOGEAR'S USB 3.0 Universal Docking Station quickly and easily turns your laptop, Ultrabook or Microsoft Surface® Pro tablet into a full-featured workstation. With support for dual monitors, gigabit Ethernet, 6 USB ports, plus microphone and speaker connections, the USB 3.0 Universal Docking Station connects you to all your peripherals with just a single USB 3.0 cable. IOGEAR's USB3.0 Docking Station delivers all the connectivity of a desktop with a simple USB 3.0 cable from your laptop, Ultrabook or Microsoft Surface® Pro tabletyou've added DVI and HDMI connections supporting two additional monitors, a gigabit Ethernet port, six USB ports (two USB 3.0 and four USB 2.0), and audio input/output jacks for headsets or speakers. Now you can easily add a keyboard and mouse, external hard drives, printers, webcams, etc. to turn that laptop into a complete workstation.